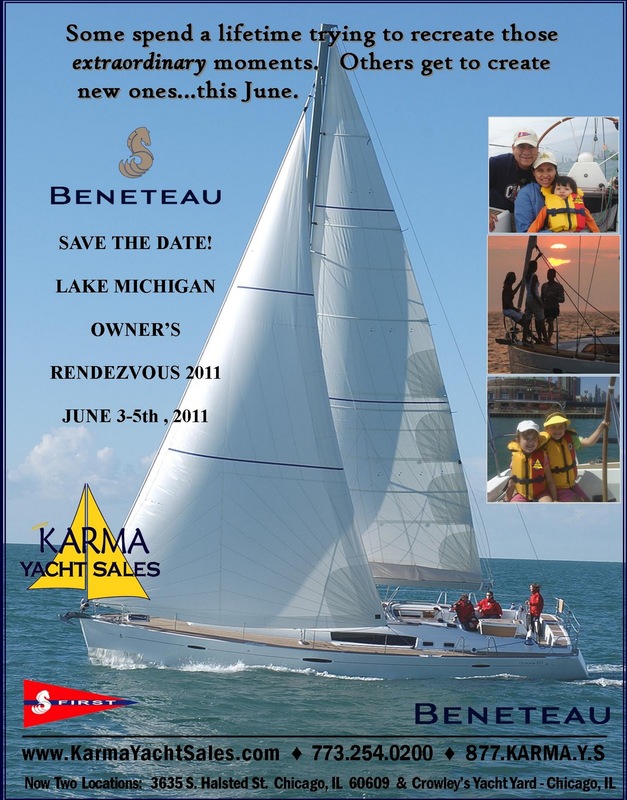 PLEASE NOTE: We have postponed the Owner's Rendezvous for 2011. We are planning a Customer event later this year. If you would like to be involved in that event- please send us an email below. 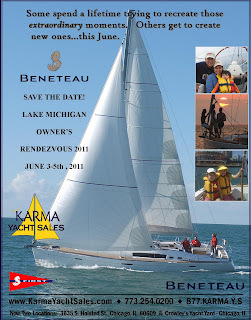 Karma Yacht Sales invites all Lake Michigan Beneteau Owners (and those that aspire to be), Crew, Family and friends to SAVE THE DATE. June 3-5th, 2011 will be that dates for the 2011 RENDEZVOUS. The 2011 Rendezvous chairs Matt and Emily Gallagher are busy finalizing details on this years event. If you are interested in joining the organizing committee please reach out to LMR2011@karmayachtsales.com . More details will be forthcoming in the upcoming week. The Rendezvous is a great weekend away with your fellow Beneteau owners, sharing good times with family , friends and making new friends. We are very fortunate at Karma Yacht Sales to have a very diverse and interesting group of customers and afficionados from around the Lake Michigan area. Regardless of whether you Cruise, Race or just enjoy your Beneteau... this is the weekend for you. We do guarantee that the event will be FUN, Family Friendly, Informative (did we say FUN?) and Memorable. So Mark your calendar for the weekend of June 3-5th. The Paris Boat Show (Salon Nautique de Paris) is the launching pad for new model year introductions in Europe. 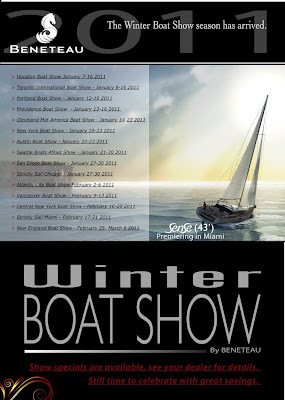 It is one of the key boat shows that European customers (and Americans) attend to learn about the innovations coming out for the upcoming year. 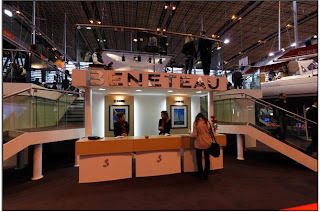 This past December a group of Beneteau Dealers attended the show and took some great photos (which we thought we'd share) so that you can get a glimpse of the magnitude of the show. In Chicagoan's terms- the show would take up both McCormick Place East AND West. The fanfare and press coverage for this show in France is equivalent to that surrounding the Detroit or NY Auto shows. Credit to Jay Bernstein of Southcoast Yachts in San Diego (the Beneteau Dealers in Sunny SoCAL). Boston, MA, January 4, 2011— SAIL’s annual Pittman Innovation Awards recognize the most innovative products in the sailboat market. For 2011, SAIL's editors have selected 15 groundbreaking new sailing products....The Dometic Marine SailVac uses as little as a pint of water per flush which are available on all Beneteau USA models and the Dock & Go which is currently available on the SENSE 50 and soon to be other Beneteau models. "It was more difficult than ever for our judges to narrow down such a strong field of new products. Here's proof that the marine industry is forging ahead with research and development," said Editor-in-Chief Peter Nielsen. Pittman Innovation Awards coverage appears on page 66 of the February SAIL issue and will be featured at SAIL’s Innovation Station during the Strictly Sail Chicago Boat Show, January 27-January 30, 2011.